Photographs don’t always tell the full story. What happened to the London bus in this picture was secondary to the main event. 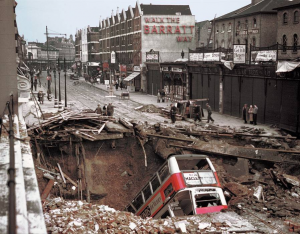 During the Blitz of 1940-41 the London Underground served as part of the system of underground shelters, with deep tube stations such as Balham providing a haven from the nightly bombing by the Luftwaffe. 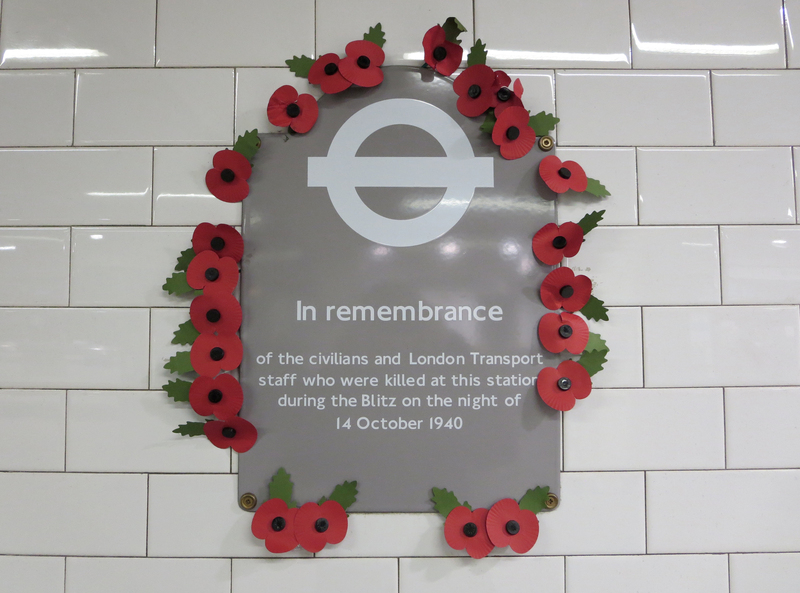 When the air-raid siren sounded in Balham on 14 October hundreds rushed to the safety of the station platform. At just after 8pm an armour-piercing fragmentation bomb fell onto the road above the northern end of the platform tunnels. The bus in the photograph fell into the large crater created by the explosion. Amazingly nobody on the bus was killed. None of the six hundred or so people below were killed by the explosion or the collapse. While some accounts say people were drowned, others say a large number of the fatalities were due to the panic among those trying to get out of the station. News reports at the time were vague – merely talking of serious blitz damage to the station, and not dwelling on casualty figures. The authorities had no wish to spread panic and despondency but for a long time afterwards there was an understandable reluctance to seek shelter at Balham station. Although a memorial plaque at the site once stated that 64 people died, some accounts say 68 and the official Commonwealth War Graves figure is 66. 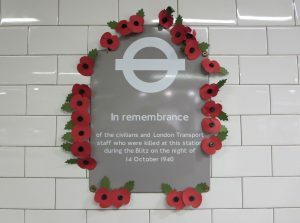 The plaque was later removed and replaced with one that simply states: “In remembrance of the civilians and London Transport staff who were killed at this station during the Blitz on the night of 14 October 1940″. The balletic, almost lyrical images of Keira Knightley drowning in the disaster in the movie Atonement can bear no resemblance to the ghastly reality of being engulfed by a mixture of water and sewage in pitch darkness. The film also got the date wrong, placing the disaster a day later on 15 October. It had not been the first time people had died, nor would it be the last or the worst in terms of deaths (two years later more than 170 died at Bethnal Green station), but the image of the bus in the crater would become one of the lasting symbols of the Blitz.